AT&T is offering three video streaming services, making use of new and existing content tie-ins. On November 30 is will begin marketing DIRECTV NOW. 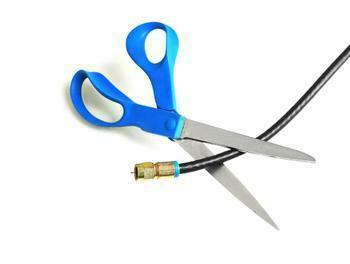 The telecom provider sees a lucrative market of consumers who have cut the cable TV cord, or who are thinking about it. “We’re extending our entertainment portfolio for those who value premium content but also want more TV freedom suited for their lifestyle, whether watching at home or on their mobile devices. This is TV your way,” said John Stankey, CEO, AT&T Entertainment Group. Stankey says the services are built around AT&T's mobile platform. He says once you sign up for either DIRECTV NOW or Fullscreen, you can stream video content using a variety of mobile devices without set-top-boxes, satellite dishes, or annual contracts. The services are also designed to promote the company's main product. AT&T Mobility customers will not use their allotted data when watching DIRECTV NOW or FreeVIEW in the App. Neither will Fullscreen users if they stream in the Fullscreen App on the AT&T network. DIRECTV NOW is a collection of four television packages of current DIRECTV content, including live sports, on demand, cable networks, and premium channels. The company says the DIRECTV NOW service will be compatible with most mobile devices and platforms, as well as Amazon Fire TV and Fire TV Stick; Chromecast (Android at launch; iOS in 2017); Google Cast-enabled LeEco ecotvs and VIZIO SmartCast Displays; and Internet Explorer, Chrome, and Safari web browsers. AT&T says it plans to add more devices next year, including Roku streaming players and Roku TV models, Amazon Fire tablets, and Smart TVs. The Fullscreen video service launched earlier this year at $5.99 a month. It provides more than 1,500 hours of on-demand programming, including original productions. FreeVIEW is a free, ad-supported video service. It offers programming from AUDIENCE Network, Otter Media properties, and other channels on DIRECTV NOW. AT&T's new video services will compete with Dish Network's Sling TV and Sony's Playstation Vue, but Business Insider suggests it could raise a controversial Net Neutrality topic. It will have an advantage over its competitors, in that it is also an internet service provider (ISP) that can choose whether or not to make video streaming count against data allowances.